In May 2018, the Supreme Court in a 2-1 verdict barred Bahria Town management from selling or allotting land in Bahria Town Karachi project, as it cancelled the allotment of land to the authority by the Sindh government through the Malir Development Authority (MDA). The said decision was taken in the meeting of the Sindh Board of Revenue, where a senior authority person decided to cancel and take back the land allotted to Bahria Town. "In compliance of orders passed by the Honourable Supreme Court of Pakistan, it was decided that Land Utilisation Department shall cancel/withdraw order dated 24-1-2014 regarding reservation of 14,617 acres of land in favour of Malir Development Authority having no perpetual, subsequent and consequential effect being void ab initio," an official document of the reads. It adds, "Similarly, pursuant to the orders of the Honourable Supreme Court of Pakistan, allotment order(s) in respect of 11,068 acres of land issued in favour of the Malir Development Authority stands revoked and rescinded being void ab initio having no legal standing." It was also declared in the meeting that the Malir deputy commissioner will take further action accordingly as per the orders of Honourable Supreme Court of Pakistan. Sindh Board of Revenue will take the said land back from the authority but may grant new land to the Bahria Town in pursuance of the apex court's judgement. It seems like that Bahria Town management has landed in hot waters, since the apex court has passed the judgement, which barred the authority from selling and purchasing of land in Bahria Town Karachi project. It is seen that the authority is facing severe financial crisis since then. The verdict has made employees worried about their next pay-checks as they may face delays in their salaries. Contractors are also not being paid and various contracts worth millions of rupees have already been cancelled. 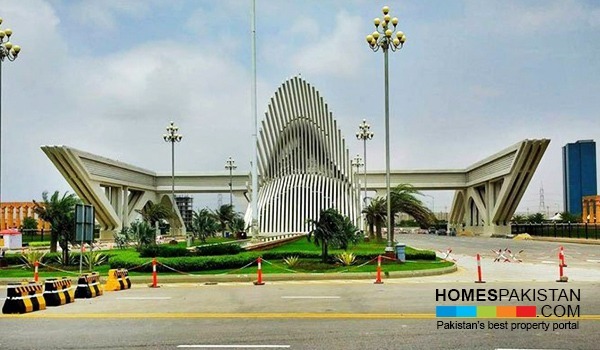 As per a rough estimate, the investment in Bahria Town projects is almost worth $20 billion. And all the development work came to a halt after the crisis, and there has been no progress in all development projects of the residential projects. Investors who have invested their hard-earned money in Bahria Town projects are demanding a way out of the financial crisis. Currently, majority of them feel like they have come to a dead end after investing their hard earned money in residential or commercial properties of Bahria Town. Let's see what will happen to this project with time.